Madam Stoltz plant pot with face imprint, handmade and finished in a cream and brown glaze. 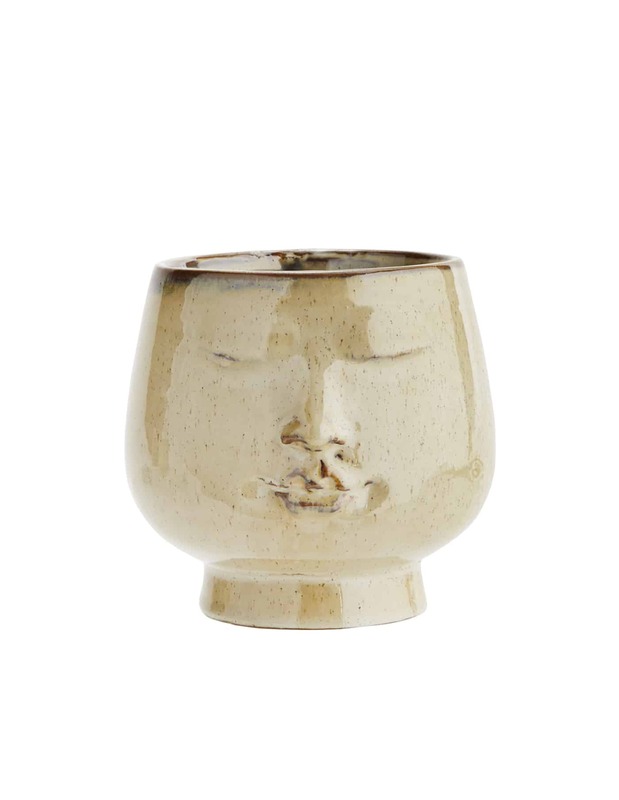 With a modernist look, the stoneware pot featuring a sleeping face is a statement piece once potted with a houseplant of your choice. A quirky way to add zen to any room.